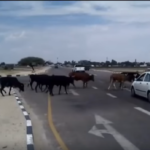 THE Oshakati Town Council is battling the drastic increase of the number of cattle, donkeys and goats roaming the town’s streets in search of grazing. Poor grazing conditions as a result of the prolonged drought have forced livestock from neighbouring villages to wander into town and to roam the streets day and night and feeding on garbage and any other available fodder. Council spokesperson Katarina Kamari described the situation as untenable. 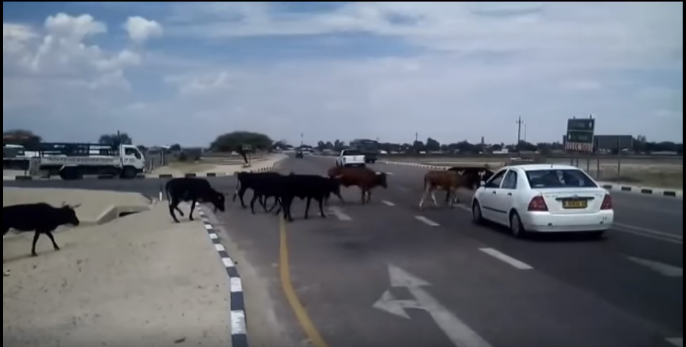 She said the council cannot allow animals to freely roam the streets, but the big number of cattle, goats and donkeys straying into town presents a challenge. Impounding them all is impractical for two reasons. First, the municipal kraals are not big enough to accommodate such a big number of animals, and second, it would prove costly to feed all the animals so impounded. “We are currently exhorting livestock farmers to cooperate, look after their animals and make sure they do not stray into town or remove those that have already strayed into town,” she said. She noted that the presence of animals is not only contrary to municipal bylaws, but also poses danger to motorists. Poor grazing is the result of a prolonged dry season in the northern regions. Normally, the rainy season starts in November or early December and lasts until April but so far only sporadic rainfall was registered in some areas.